Your networks should be periodically monitored to ensure application and operating system (O/S) patches are up to date. In addition, you should maintain your anit-virus definitions and keep your malware threat detection up to date. By doing so, you could prevent an unwanted cybersecurity breach and data loss. Worse, loss of reputation resulting from data leaks or loss. There are a variety of remote back up and data protection solutions to ensure you can recover your systems to keep your business running. It is a good idea to test those backups periodically to ensure you can restore your data quickly. Many older tape backup solutions can be slow and unreliable. What’s more, there are many new file sync and sharing solutions allowing your employees to securely access information anywhere. We put more and more reliance on our applications to run our daily operations, so make sure your data is protected in 2016. Cloud Solutions offer many advantages over premise based systems. Using subscription based services help ensure you are always on the latest version. What’s more, you can shift some of your IT costs from a capital expense (Capex) to an operating expense (Opex). Starting with migrating email, which is an easy first step, to clean up inboxes, secure and encrypt your communications and take many hassles out of IT. Considering following on with files, applications, single sign on and other IT infrastructure to gain the full benefit of Cloud Computing. Business class Internet services are as affordable as they have ever been. Consider a telecom expense audit to see if you are getting the most bandwidth for the buck. You may not only save money, you may increase your bandwidth and network performance. With mobile computing, cloud computing and eCommerce on the rise, it is important to get the most from your Broadband network. Ensure your employees can identify malware threats, man in the middle attacks, phishing schemes and other Cyber Security hacks. Your employees should have a good understanding of what to do in the event of a data loss (for example lost mobile device) and change their passwords periodically. Your employees are your first line of defense against Cyber Attack, so take the time to remind them of their role in protecting your IT Systems. This is the time of year to spend with family and friends and reflect on the past, while looking forward to the future. 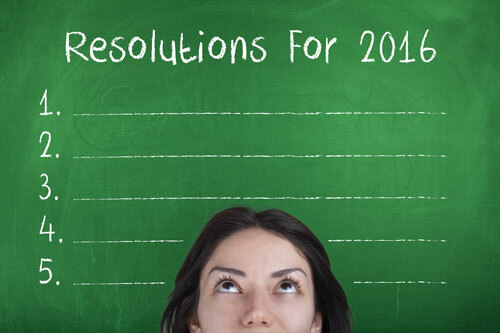 Resolve to be the best you can be in 2016 and ensure your IT Systems are ready for prosperity in the new year.